Last weekend, Doug and I flew to Mystic, Connecticut for my “other brother,” Patrick’s wedding. Technically he’s my step-brother, but 1) I think that word “step” sounds so harsh and 2) because I love him (and his mom and two sisters) as if they were family. This weekend I simply said he’s my “brother from another mother” and his sisters were my “sisters from another mister.” Sounds much better, doesn’t it? Oh, and yes... there was a Mystic Pizza in the downtown seaport. Mystic Seaport: Our view from Red 36, a restaurant situated right on the Mystic River. Doug and I flew out early Friday morning, landing just in time for lunch. We met up with everyone and headed to Red 36, a new restaurant seated on the banks of the Mystic River. For many years I didn’t eat meat, fish or eggs (and often passed on cheese as well) but about a year ago, I started adding these things back into my diet. 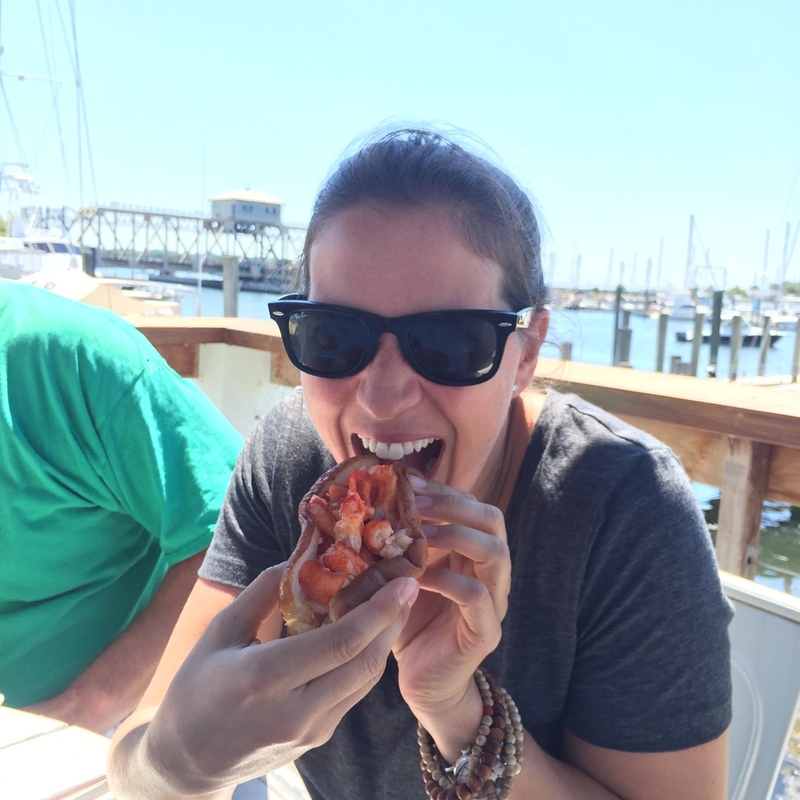 Up until this trip, I had never enjoyed a Lobster Roll and when I saw it on the menu I knew exactly what I was having for lunch. Oh. I was missing out all of these years! It was amazing and I enjoyed it “hot and buttery” style, popular in Connecticut. The rest of the weekend was spent enjoying family, kayaking and, to be honest, eating! Mystic Draw Bridge Ice Cream, Seaport Salty Swirl is the flavor they're known for, ranks up there in my top three for "Most Delicious Ice Cream" and there's a reason it's extra creamy, delicious and infused with all sorts of great flavor. The secret to their success is in the way they make the ice cream "All ice cream has air whipped into it, otherwise it would freeze rock hard (not the best for licking or enjoying). The percentage of air added is called overrun. Most so called "homemade" and mass produced ice creams are made with 80-100 percent overrun. This means that by volume almost half the ice cream is air. By contrast we at Mystic Drawbridge make all our ice creams with 30– 50 percent overrun. That is why our ice cream is richer, creamier and more flavorful." The wedding was held at 5:30 right along the water and was beautiful. 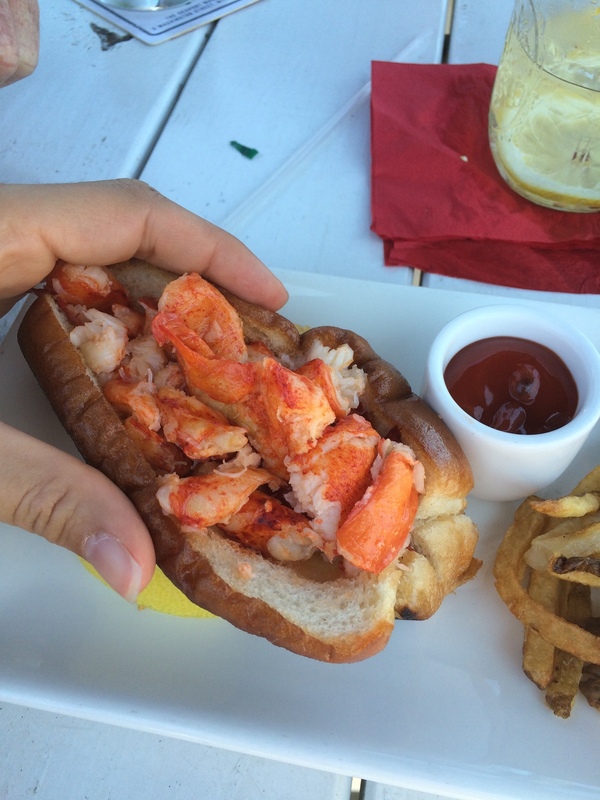 We enjoyed (more) lobster rolls, danced until midnight and got very little sleep before our early 6am flight home. With a 75-minute drive time from Mystic to the airport, we were awake at 3am to head back to Hartford the next morning. Thankfully, the lobby had a 24-hour coffee/espresso machine. Two triple shots to go, please!